21/22 Amanda Jones Plot holes and continuity errors made this thriller far less-than-thrilling. 45/50 Michael Bentley Pretzel logic is rarely a good thing. 205/214 Max Braden The moral/emotional choice that comes up is interesting, and the ending is shocking, but it's also incoherent. 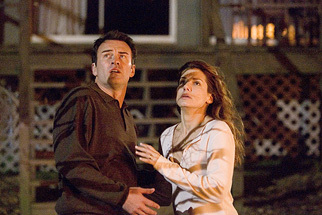 See the latest developments for this project on the Premonition Movie News page.